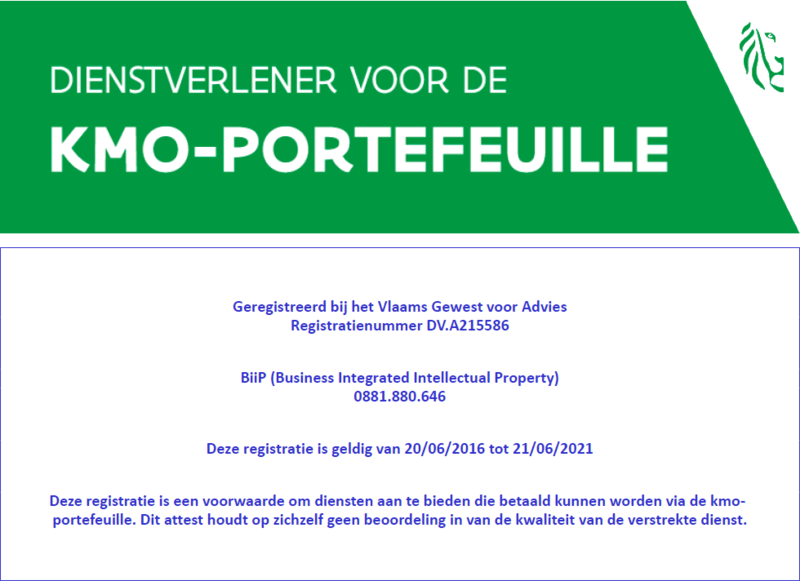 BiiP is a service provider registered under the SME-portfolio. Subject to compliance with certain conditions, it is possible to recuperate till 40% of the costs incurred, depending on the company’s size (please refer to www.vlaio.be). Please find below some information on how to proceed.